The Galaxy S8 and S8+ haven't even hit shelves yet, but some of the stock apps from Samsung's latest flagships have already been leaked. 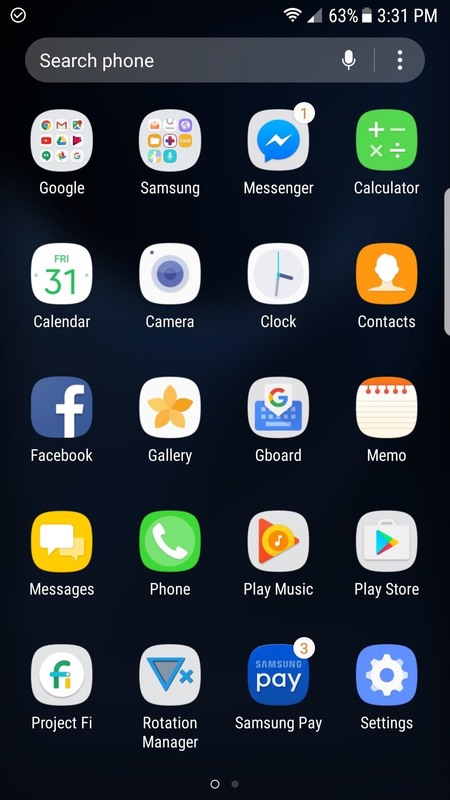 The biggest one so far is the new Samsung Experience Launcher, which replaces TouchWiz Home, and is quite a bit different from anything you'll find on previous Galaxy models. Amazingly enough, developer takerhbk has already ported the leaked launcher to work on older Galaxy devices. 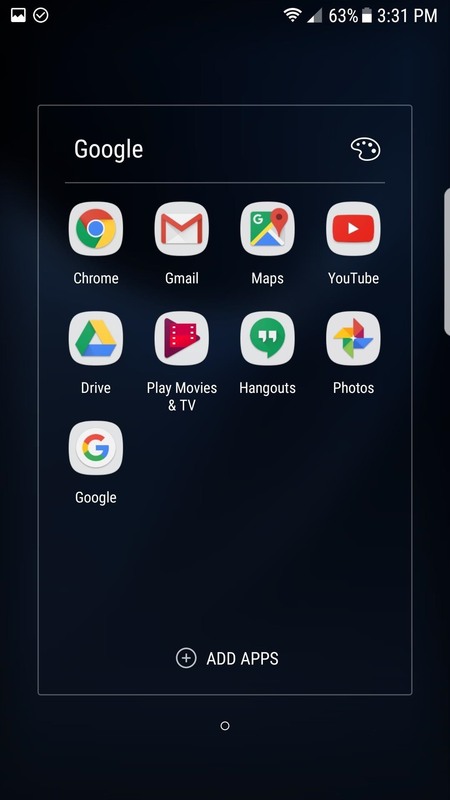 At the moment, the new home screen app only works on the Galaxy S7 and S7 Edge, but it brings you most of the cool new features—including the ability to swipe up on your dock to open the app drawer. 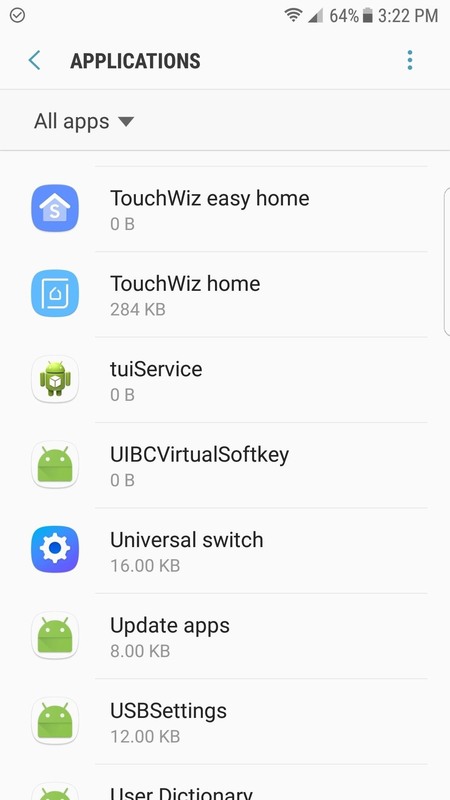 Before you install the new launcher, you'll need to clear the data on your old TouchWiz home app and uninstall any updates to prevent issues with incompatible app data. 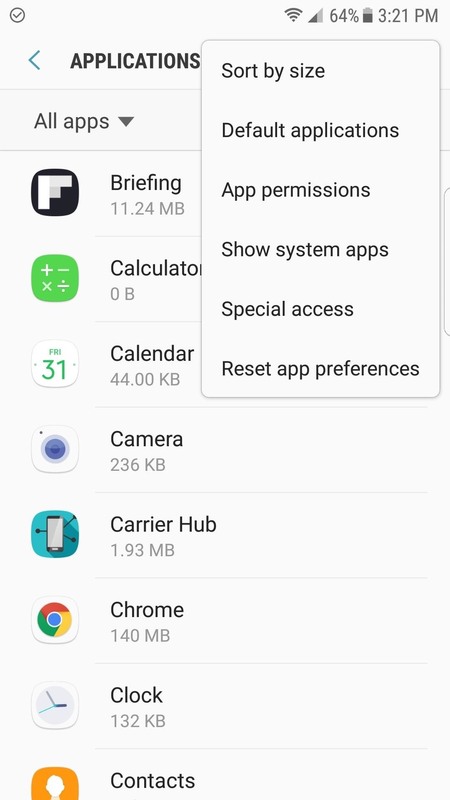 Do note that this step will erase your current home screen configuration—it's nothing serious, but you will have to rearrange your icons after the Galaxy S8 launcher has been installed. First, head to the Applications menu in Settings, then select "All apps" from the drop-down menu. From there, use the three-dot menu to enable "Show system apps," then select "TouchWiz home" from the list. 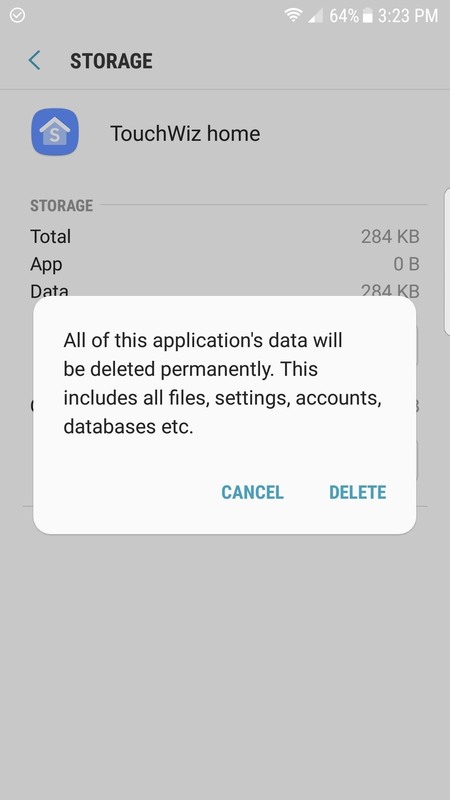 Next, tap on "Storage," then hit "Clear Data" on the following screen, and confirm the data wipe by tapping "Delete" on the popup. 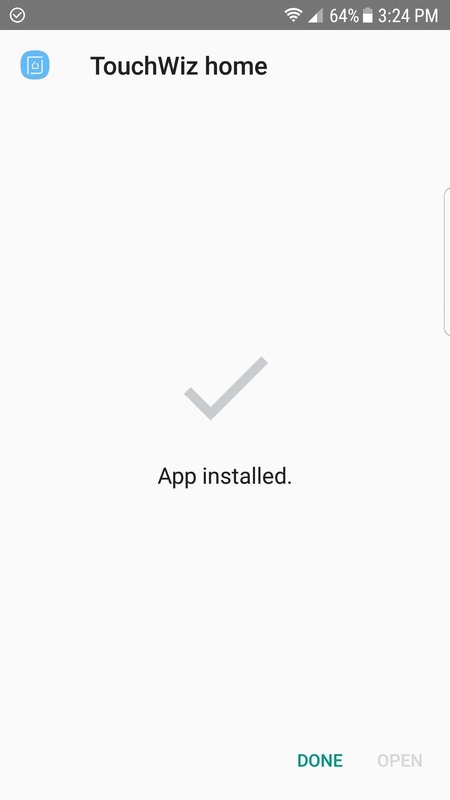 Next, head back to the Application Info screen for TouchWiz home, then tap the three-dot menu button at the top of the screen and choose "Uninstall updates." After confirming your choice, wait a few seconds, and the app will be restored to its factory state. 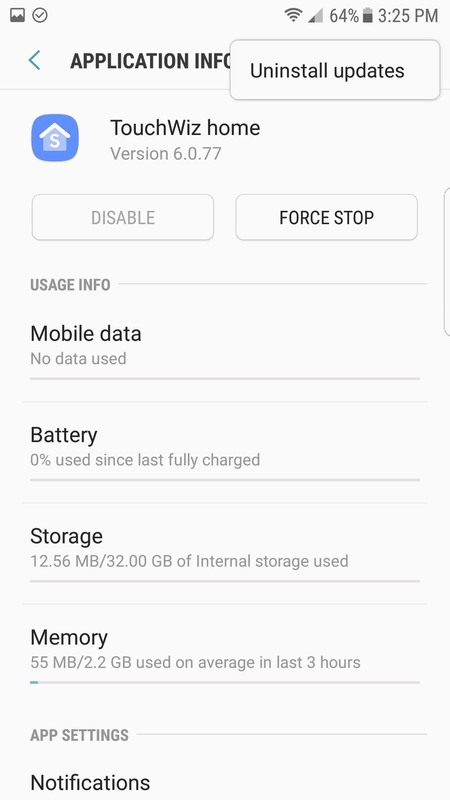 There are currently two versions of the Galaxy S8 launcher: The unmodified stock version straight from the S8 itself, and the modified version which attempts to correct a reported installation error. Download both of the APKs just to make things a bit easier in case the stock version gives you any errors. You can delete the downloads after successfully installing one of them. After you've downloaded both versions of the Galaxy S8 launcher, go ahead and install the stock version. 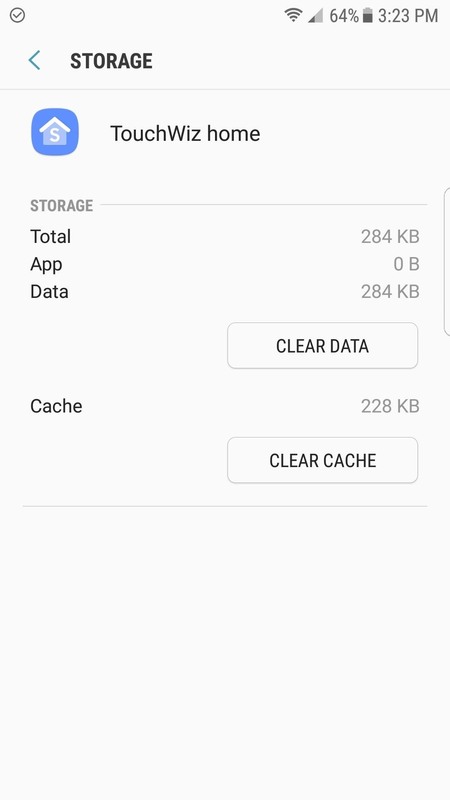 To do that, simply launch the TouchWiz20home APK with any file browser, then tap "Install." If the stock version fails to open or install, give the modified version a shot, it should work. Once the app has been installed, simply hit the home button and check out your brand new launcher. (Make sure to select "TouchWiz home" if asked.) 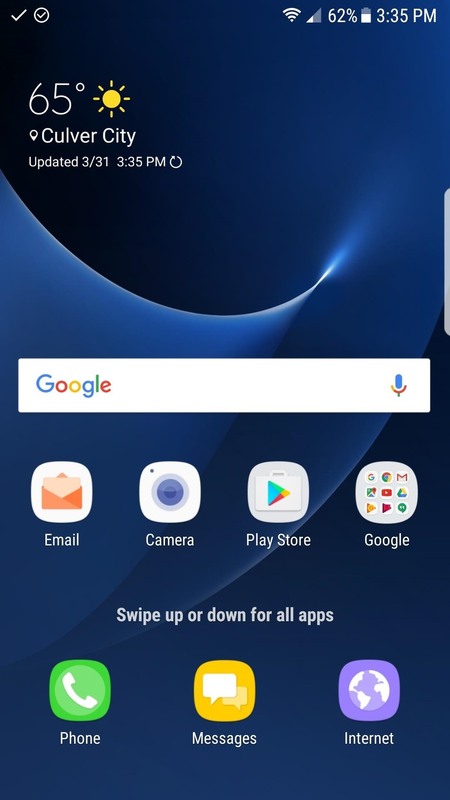 The current consensus is that S8 launcher is much smoother, and has far less redraws than the one included with the Android Nougat update for the S7 and S7 Edge. Then, of course, there's the new swipe gesture to open your app drawer, so it's good stuff all around. Not much will seem different visually, but we have it on good authority that a couple of widgets from the Galaxy S8 will be ported over for the S7 and S7 Edge soon. If you liked this mod, check back, because we'll be covering similar S8 features as they leak. In the meantime, share your thoughts on the new Samsung Experience launcher in the comment section below. Doesn't seem to work for me. Deleted updates til 5.8.67, deleted all memory. Then it says a package with the same name is already present. Any ideas? Works flawlessly on my S7 Edge. Excellent share, looking forward to additional S8 ports. 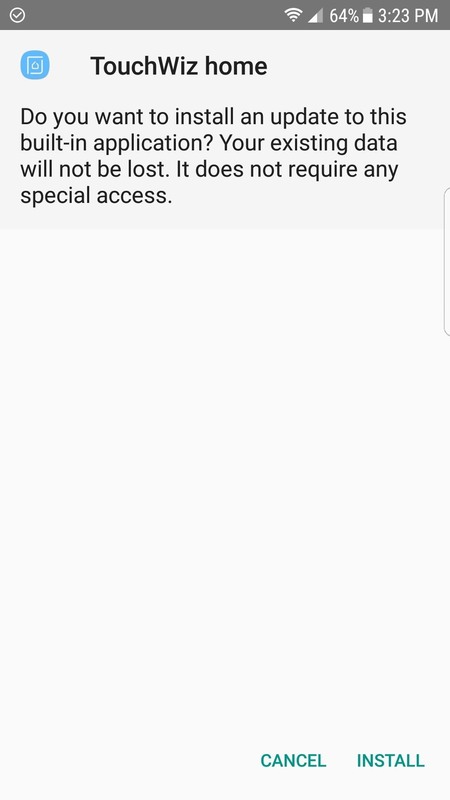 I have a S7 on Sprint, TouchWiz 5.8.85, Android 7.0, June 1 2017 security patch, build NRD90M.G930PVPU4BQF3 ... cleared cache and data ... there was no option to uninstall updates ... still same message as guys above, Package with the same name is already present. Tried both apks and both failed. Any ideas? Hey guys. I am trying to download the file but in the end when I am installing it, the app says " the package conflicts with an existing package by the same name". Any ideas on how to get it down? Can other phone uses this launcher? 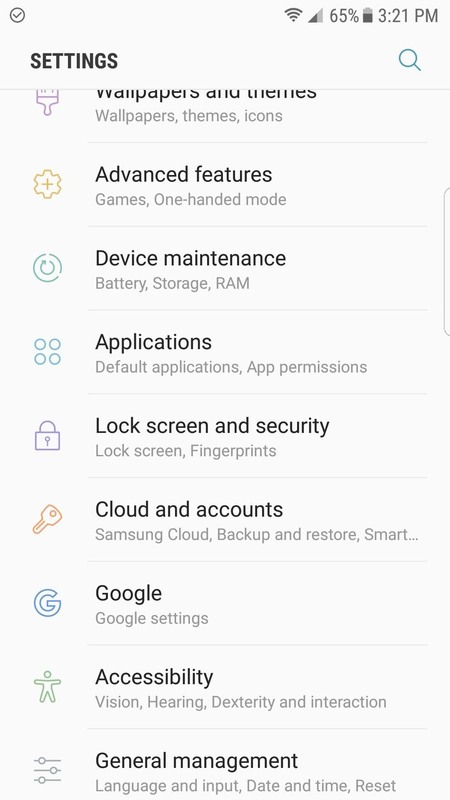 I have an s6 edge+ running android 7.0 and I don't see the option to uninstall the updates, is there any other way to uninstall touchwiz home updates? 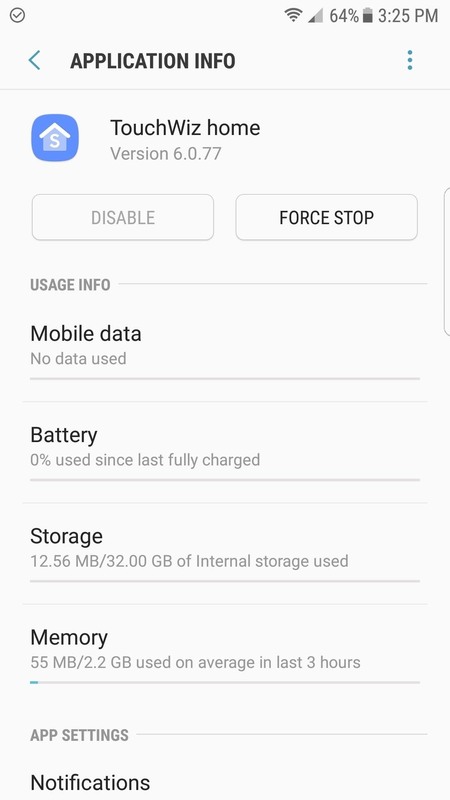 Hello....I am getting the same error as those above.....I have the option of tapping on "Storage," then hit "Clear Data" on the following screen, and confirm the data wipe by tapping "Delete" on the popup. Afterwards however, it does not show me the three dots where I am supposed to uninstall the updates.